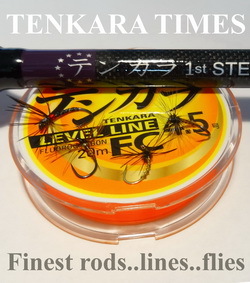 When I started tenkara and first learned that many tenkara flies were tied with sewing thread, I was appalled. I mean, anything other than 8/0 Uni thread was sacrilege! And sewing thread was just plain crude. 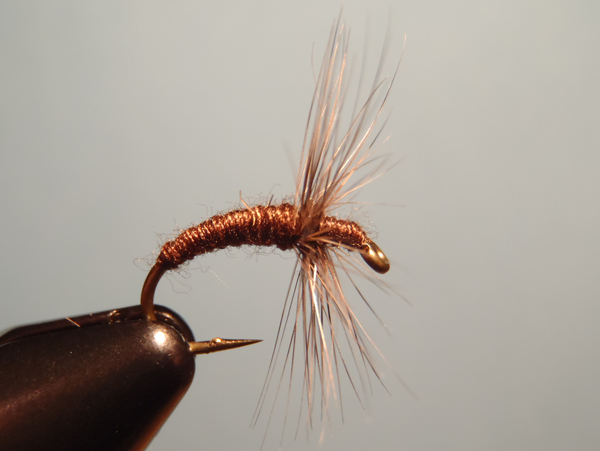 This was mostly because I was used to tying more complicated flies where sewing thread would be too thick. 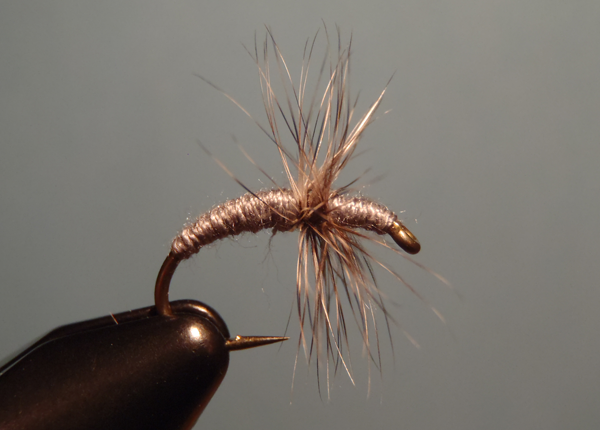 But gradually, as I moved more and more toward fishing simple flies like sakasa kebari, I could see using tying thread. And today, I rely on simple, thread-bodied flies for 90% of my trout fishing. For those flies, sewing thread is a great choice for several reasons. 1. It’s thick. What I once thought was a bad quality actually turned out to be a good one. Because sewing thread is a lot thicker than most fly tying thread, it allows you to build up a body a lot faster. If you’ve ever tried to build a thick body with 8/0, you know what I’m talking about. And, sewing thread is almost like a little rope of dubbing so it looks buggy too. The two flies above may not look like much to a tier, but they have caught tons of fish. And because of the thicker diameter thread, I can tie them in seconds, making them expendable. “Expendable” is good, because it means I’m not afraid to lose them so I have no trepidation about throwing them into the gnarliest holes where I stand a good chance of losing the fly. This allows me to fish trickier places that other anglers might pass up (and where the fish are probably hiding). 2. It absorbs water. Sewing thread can be made from a variety of materials but some like cotton absorb water very well which will help sink your fly without adding weight. 3. It’s cheap. 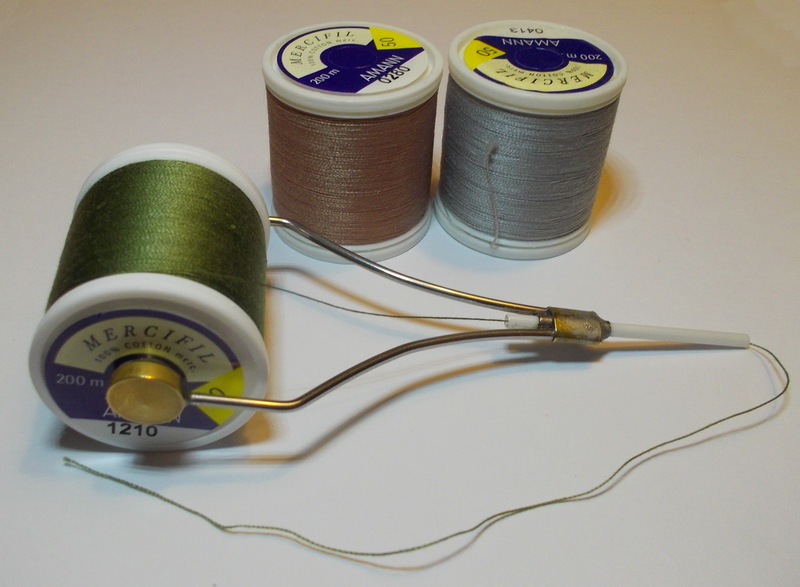 Sewing thread can be more than 50% cheaper than fly tying thread. So you can stock up on more colors for the same amount of money (or less). It also reduces your overall cost per fly which adds to their “expendability”. 4. You can find it anywhere. Ever run out of your favorite tying thread in the middle of a session only to realize the fly shop was closed? That never happens if you use sewing thread. You can find it at the supermarket, all-night drugstore, and sometimes, even places like 7-11. Chances are you already even have some tucked away in a junk drawer somewhere. When you need it, sewing thread is easy to find any time. 5. More variety. The next time you pass by a Joanne Fabrics, stop in and wander over to the thread section (be sure to scope out the place for other unique tying materials on your way). You’ll be surprised at how many different threads there are! Different colors, different materials–even metallic ones! There are far more options in sewing thread than what is offered in the fly tying industry that will allow you to create some really unique looking flies! You won’t find specialty threads like these at your local fly shop or in any fly tying catalog! So, for the reasons above, I’ve switched to sewing thread for my “go-to” sakasa kebari. “Past me” would be horrified, but “present me” thinks it just makes sense. I wonder what “future me” will be using…? 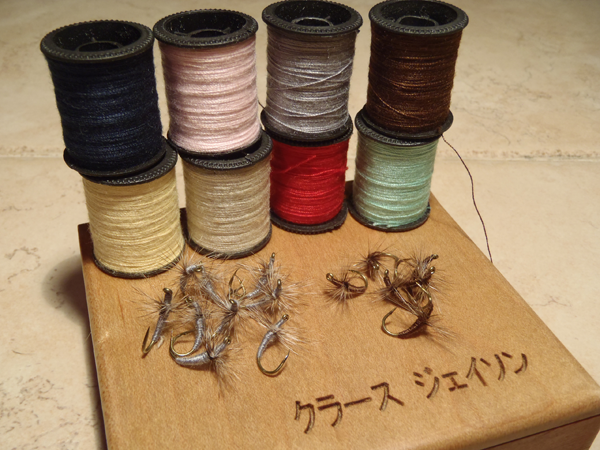 Have you tried sewing thread for tenkara flies? 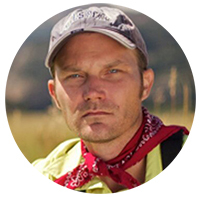 I agree with the five points of your article Jason and I think Tenkara can bring many fly tiers to a simplification of their fly tying style and also to take in account that expensive tying materials are not necessary to make good flies. Fly tiers are too easily taken in crazes about this thread or that glue and do not realize they waste money. 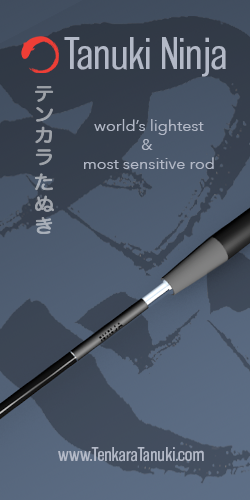 Of course I wouldn’t have written this before I get interested in Tenkara! Agreed. I use sewing thread all the time for many of these same reasons. Technicolor Dream Kebari is the nuts! I like using thread as well. I also like the fact that Wal-Mart is open 24/7 which makes it easy to get. Thread is also great because I don’t have a fly shop in my town. The nearest fly shop that is good is 1 1/2 hours away from me. I have started using thread for a non-tenkara fly as well. The fly is called the Squirmy Wormy and is my favorite warm-water “fly.” The thread does a great job keeping the rubber legs from spinning around the hook shank. Note some of the older flytyers used buttonhole and worsted cotton yarn for fly bodies. When they wanted a body that wouldn’t take up water, would have a dull sheen and a darkish colour, they would wax the cotton with beeswax or cobblers wax. 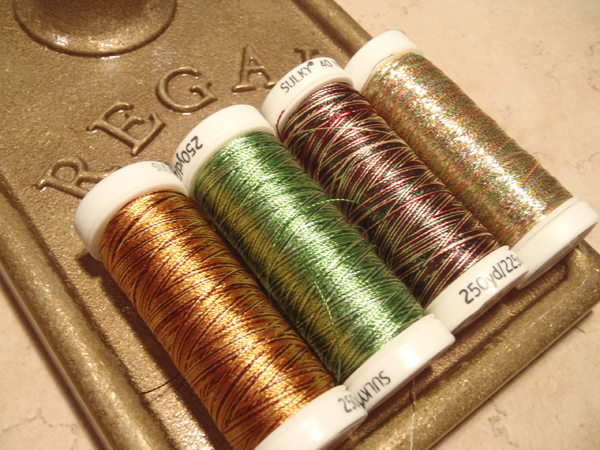 … Pure silk thread and the most amazing holographic tinsel is available in the craft stores (in Australia Spotlight stocks Gutermann silk and metallic threads). I’m so new to Tenkara I didn’t even realize there WAS such a thing as fly tying thread. (I heard that collective gasp!). But guess what, I’m all in now!!! Love the TDK! Another great article! Thanks, just curious Jason, what does the engraved Japanese on your wood thread stand say in english? Thanks Timmy. It says my name in Japanese. I’ve used regular sewing thread also. It certainly does build bodies faster. One metallic thread brand that I’ve been experimenting with is Madera. Really nice flash and fairly thin as well. This was exactly what I wanted to know after watching you video about how to tie a tenkara fly. I believe you mentioned 8/0, but a newbie to tenkara fishing doesn’t you mean ordinary sewing wire. Answered before I ask and before I received my Owner Shinobi hooks. Another great article. I am definitely going to try this on my flys. I have been tying some Tenkara flys for my 3wt and it works great. Saving for my Tenkara for Christmas. The guys in the UK went a step further with this idea. Making the entire kebari from a complimentary hotel sewing kit. Only supplying a feather not found in the kit. The bottom entry in their blog. Or direct to the linked video. I’ve been slowly navigating away from my more complex fishing flies to more and more simple ones, I guess this comes from my general drift towards simplifying everything to do with my fishing and tenkara has been a big part of that. It’s quite normal for me to sell or bin last seasons flies as the close season here in Scotland for trout is long and harsh which opens up lots of time for tying however this winter I’ll be tying simpler flies with fewer materials than I normally do. 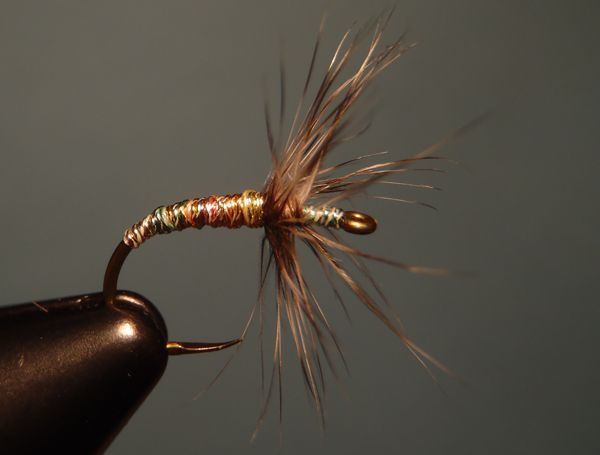 Gone are the complex baetis nymphs and caddis larva, replaced by thread and hackle flies for the most part, I’m planning to only tie flies using a maximum of three materials including thread or wire and wherever possible two materials. I recently bought a pack twelve threads from my local supermarket for £2.99 which is about what I pay for a single bobbin of tying thread at my local tackle shop. There is a good selection of colours in the pack and I’ll make good use of them all I’m sure. I’m about to start tying for next season and bit by bit I’ll fill a new box with new flies and new patterns, simpler patterns. And when I hit the new trout season with my tenkara rod I’m sure that one of the first flies I fish will have been tied with sewing thread. Ha. I love the article. I’ve been using sewing thread for a long time now, mainly because I kept breaking the other through mid tying. Keep em coming! 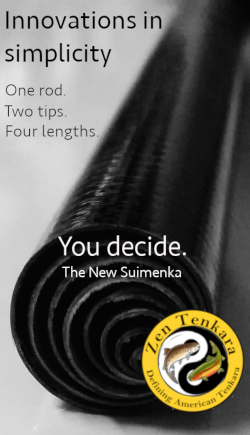 I know this is WAY off subject but it is one of the most read Tenkara blogs! Thanks Timmy! 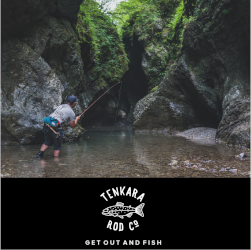 I like to think of my blog as being one of the more active ones like Tenkara Bum or Teton Tenkara. Really, my posts are just starting points that spark great conversations. To me, the comments I get are much more valuable than the initial posts I make. 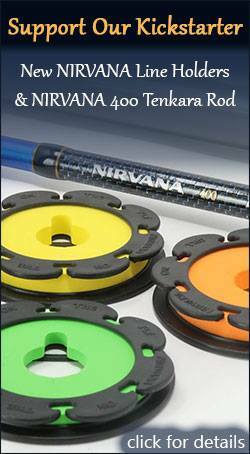 I always learn more from what intelligent and savvy tenkara anglers like you follow up with. And I really, really appreciate it. If it weren’t for that, I’d probably stop blogging. I’ve been using sewing thread for several months. Appreciate the validation. Only 1/2 of my post printed. However, i was still able to find the answer, thanks Daniel! I’m still new to the tenkara world and my knowledge base for western fly fishing is based in warm water (mostly smallies). I have had much success on the outings I have taken with my tenakra rod in West Virginia, but am still learning to read the water. That being said, please pardon my ignorance. What hooks do you typically use for your flies? I may be way off, but these look almost like scud hooks to me! I also use some eyeless hooks from Japan. 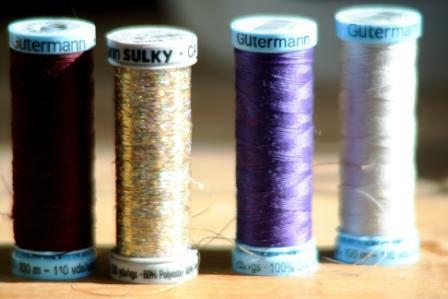 Embroidery threads from guterman have a wonderful array of threads and flat metallics as well, worth a try as you can take as many or few of the 6 entwined strands to mix and match as you will!